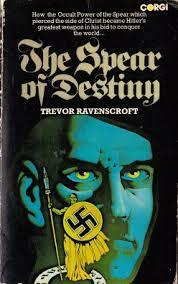 In 1973 Trevor Ravenscroft (pictured), who would later live in Torquay, wrote a book called ‘The Spear of Destiny’. This book became recognised by some as a classic of Holy Grail and Nazi occult history – other more rational folk saw it as pure fantasy and a product of a time when pretty much anything weird found an avid readership. David Bowie was a fan of Trevor’s work… at least at first. 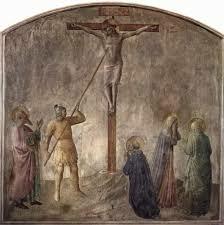 In Christian mythology, the Spear of Destiny pierced Jesus’ side as he hung on the cross in John’s account of the Crucifixion – it’s also known as the Holy Lance or the Spear of Longinus (pictured below). Though lost, there have been three or four major relics that are claimed to be the Holy Lance or parts of it – that’s an example in the image on the below. The Spear has, over the years, been attributed with mystical powers and a number of popular New Age, Conspiracy, Horror and Science Fiction books have popularised the legend. In 1973 the ‘historian’ Trevor published his book on the subject and then a follow-up, ‘The Mark of the Beast’. Trevor was a Commando in the Second World War, and spent four years in German prisoner of war camps, though he did make three escape attempts. He was allegedly involved in an attempt to assassinate Rommel in North Africa in 1941 – though this has been disputed. It was while a POW that he claimed to have experienced “higher levels of consciousness”. This led him to study the legend of the Holy Grail “and to research into the history of the Spear of Longinus and the legend of world destiny which had grown around it”. 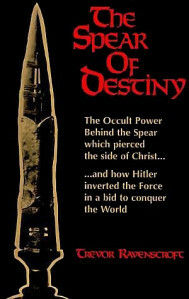 These revelations then led him to write ‘The Spear of Destiny’ and ‘The Mark of the Beast’. Bear in mind that Trevor presented all this as fact and not as a bit of a laugh. 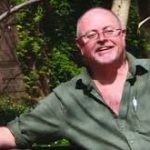 The books claim that Hitler was obsessed with the Spear of Destiny and that he started the Second World War to gain possession of the artefact – it’s probably worth noting at this stage that other historians have a markedly different view of the origins of the war which don’t focus on an old spear. Allegedly the Spear had been prized by many great warriors through the centuries, including Napoleon Bonaparte who had acquired the lance after the Battle of Austerlitz in December 1805. However, the pointy thing serves an evil spirit, which turns out to be the Antichrist himself – did you see that coming? The Spear’s legend says that whoever gives up ownership would also lose their life, and so Hitler took the hint and committed suicide. The Spear then came into the ownership of US General George Patton. Was this pure fantasy or did Trevor really have some secret knowledge and insight? 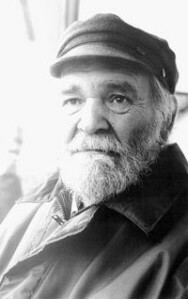 We’ll probably never know – Trevor died in Torquay in January 1989.